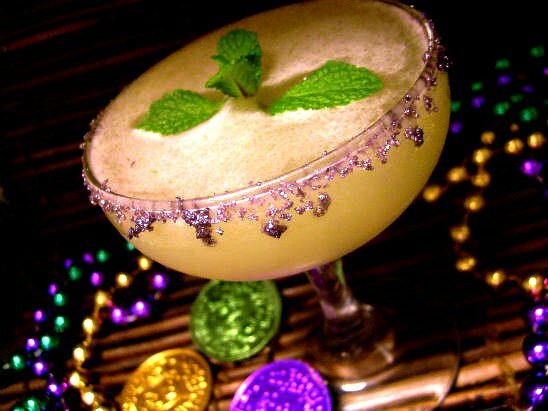 In New Orleans there`s nothing but a giant party right now with both the Mardi Gras and Superbowl celebations going on with the big game being played tomorrow and then it´s just a week until Mardi Gras and that means it´s high time for me to come up with this years Mardi Gras cocktails. 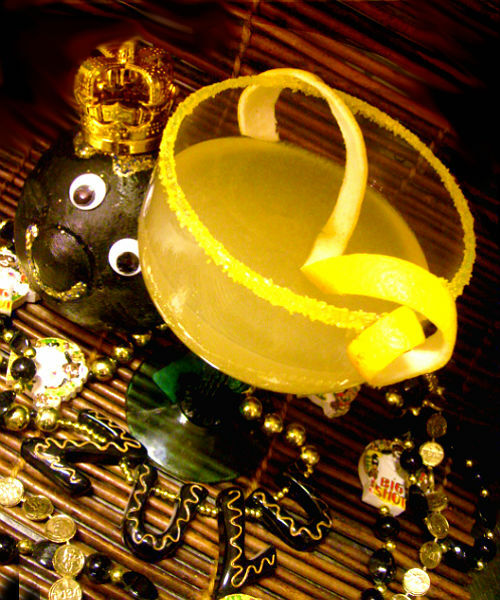 Last year the King Cake vodka was launched and i wrote two posts about it and then later this year in the fall the Fleur de Lis vodka was launched by the same company – Lucky Player Vodka. 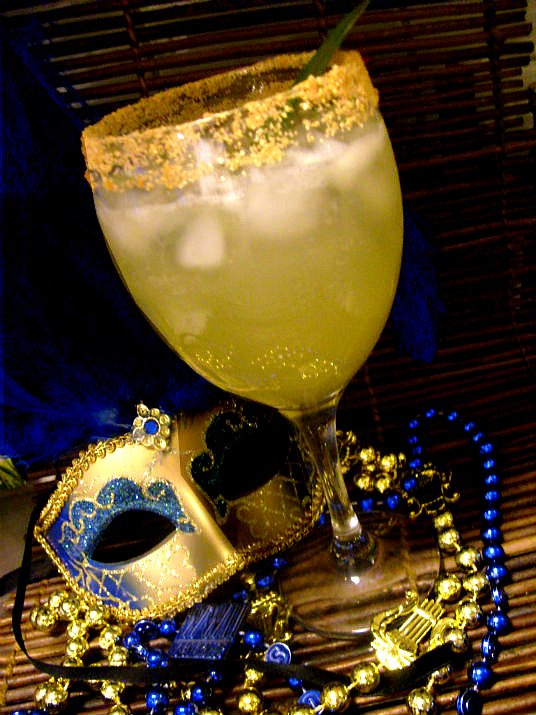 Maybe a few of the drinks i make here can be of inspiration to celebrate this years Mardi Gras whether you are in New Orleans or not, a Mardi Gras party can be thrown anywhere! 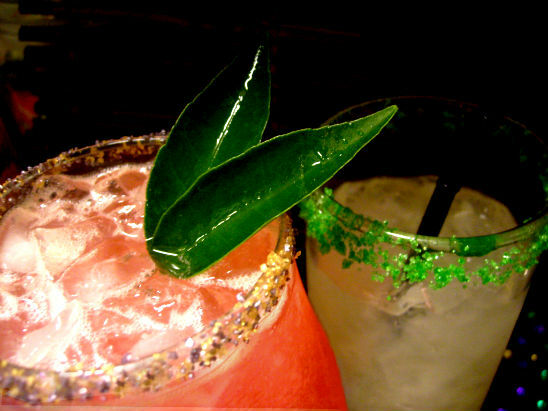 Just bring on the right attitude, some great Louisiana cooking and put on the Mardi Gras music and don`t forget the drinks! Let the good times roll! Shake with ice and serve in a chilled cocktail glass. 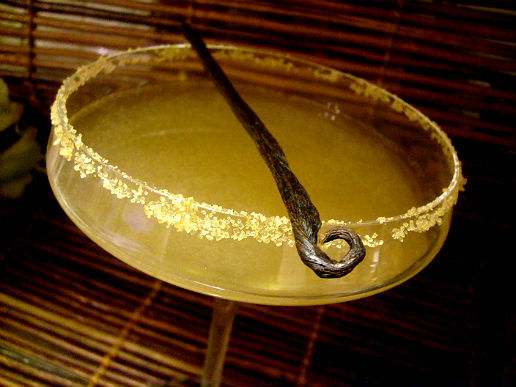 Garnish with a yellow/gold sugar rim and a lemon peel. 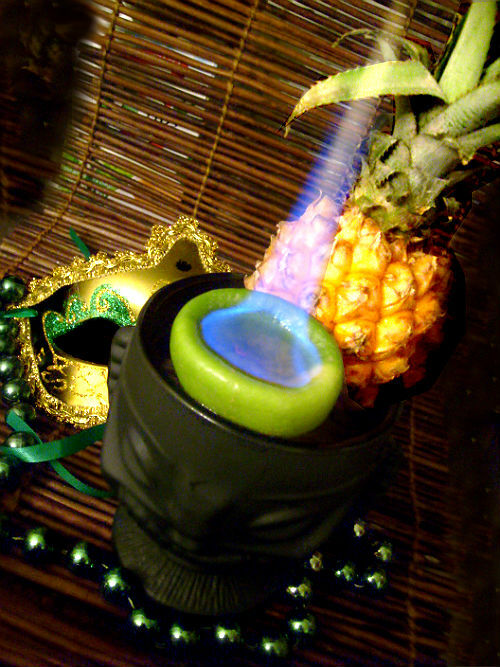 Shake with ice and serve in goblet with crushed ice, pineapple garnish and a flaming half lime shell. This one is a strong and spicy drink.. Shake with ice and strain into a chilled champagne coupe rimmed with purple and green sugar. 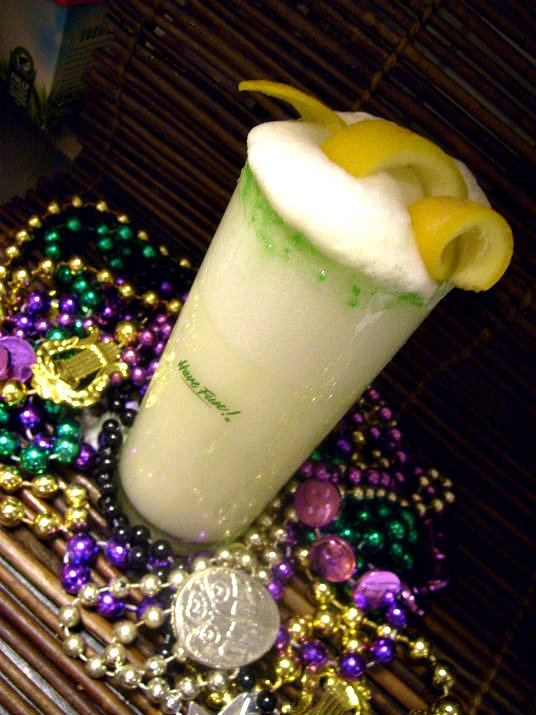 Shake with ice and strain into a tall glass rimmed with mardi gras color mix sugar and filled with crushed ice. 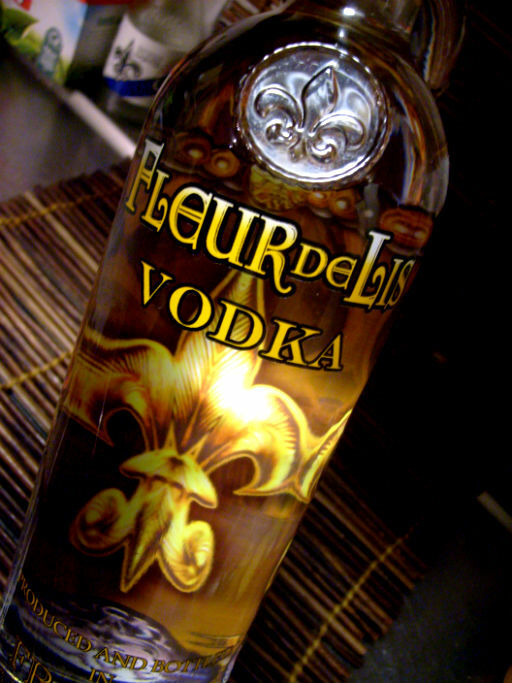 Fleur de Lis Vodka hitting the stores in New Orleans and Louisiana. 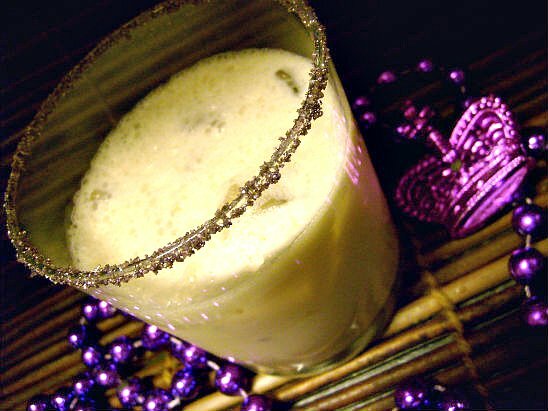 Remember my posts about the King Cake vodka with carnival party cocktails during last mardi gras? 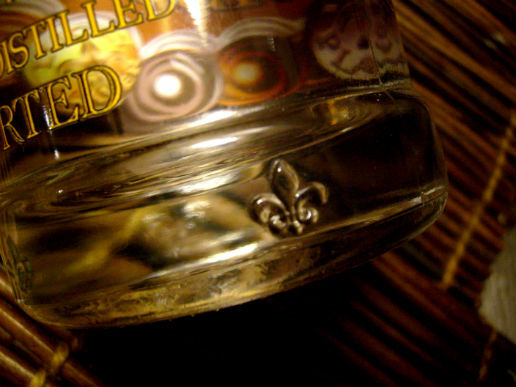 now the company who made it – Lucky Player – has just released it´s new Fleur de Lis vodka in New Orleans and Louisiana. 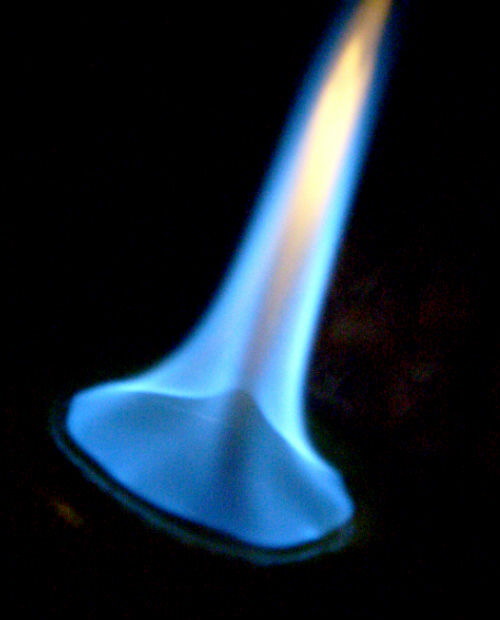 It´s straight non flavor ultra premium vodka smooth as ice….that has been distilled 5 times. 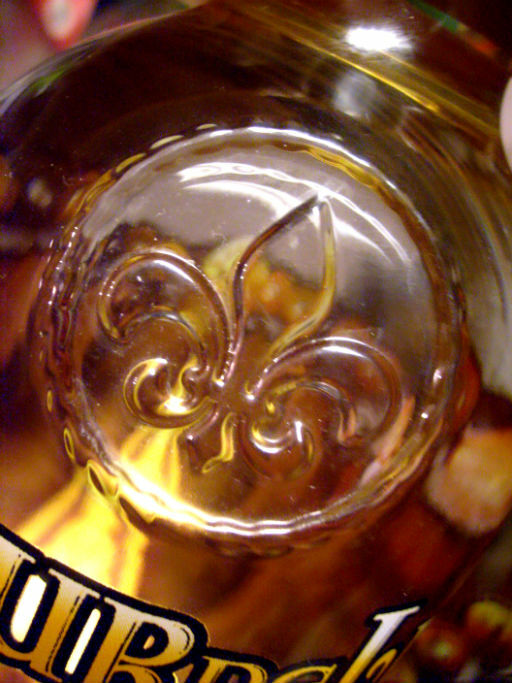 The Fleur de Lis vodka is just like the King Cake vodka made in France and is bottled at 40% ABV or 80 proof. The bottle has a beautiful Fleur de Lis design which will make it a collectors item with both a Fleur de Lis label and engravings on the bottle. Why a Fleur de Lis? well….to celebrate life….and there are many ways to do that – the easiest is to enjoy it on the rocks with some fresh lime and simple cane sugar syrup – or do what i did add a dash of vanilla liqueur in the mix. 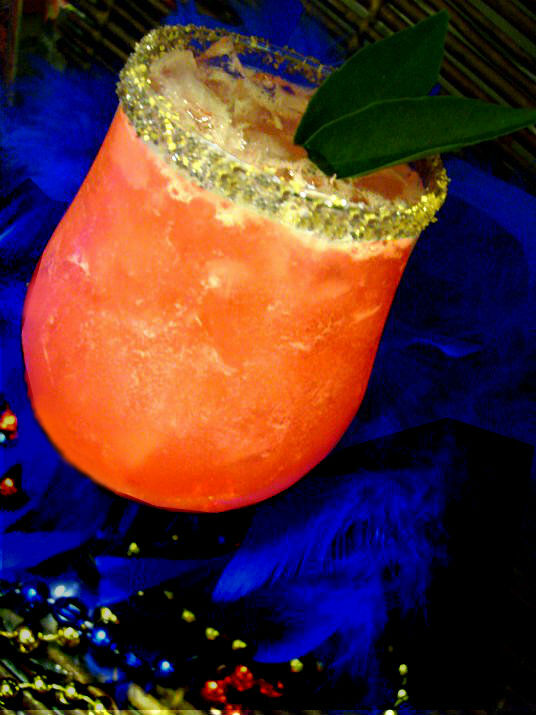 Shake with ice and strain into a chilled cocktail glass and garnish with a golden sugar rim and and a vanilla bean. 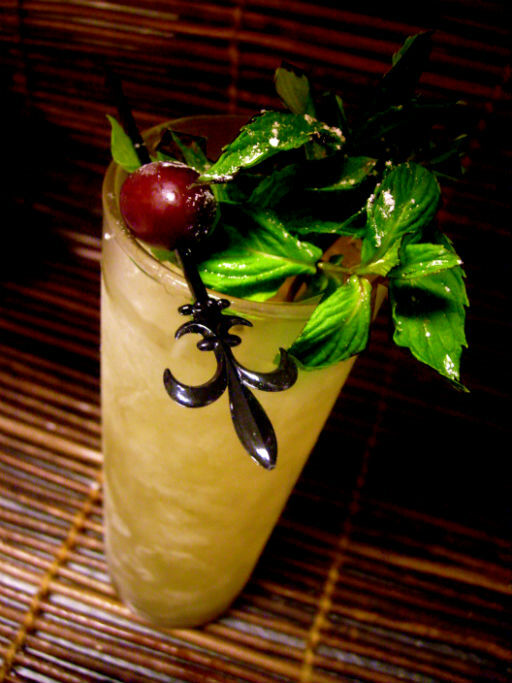 Shake with ice and strain into a tall zombie glass filled with crushed ice and garnish with mint and cherry. Inspired by the Chartreuse swizzle this drink is very refreshing, fruity and herbal at the same time and light and easy to drink! 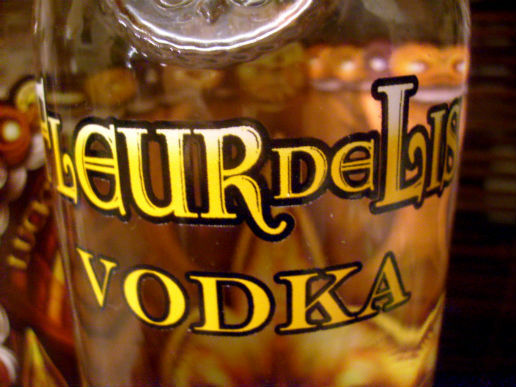 Fleur de Lis Vodka available at all Rouse’s Supermarket in Louisiana. 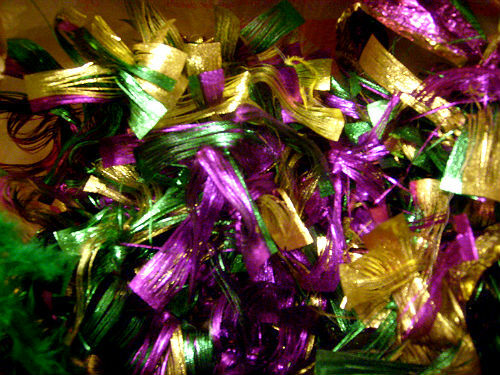 The Mardi Gras or Carnival season officially begins on January 6th or the “Twelfth Night,” also known to Christians as the “Epiphany” and to New Orleans from France the king Cake came – sometimes in the 1870s, so it´s a very old tradition and you can read more about it here and here is a pic and a recipe too of a traditional King Cake. Last year Haydel`s bakery got in the Guinness record book for the worlds largest King Cake, it went twice around the Superdome.-) pretty cool if you ask me.. 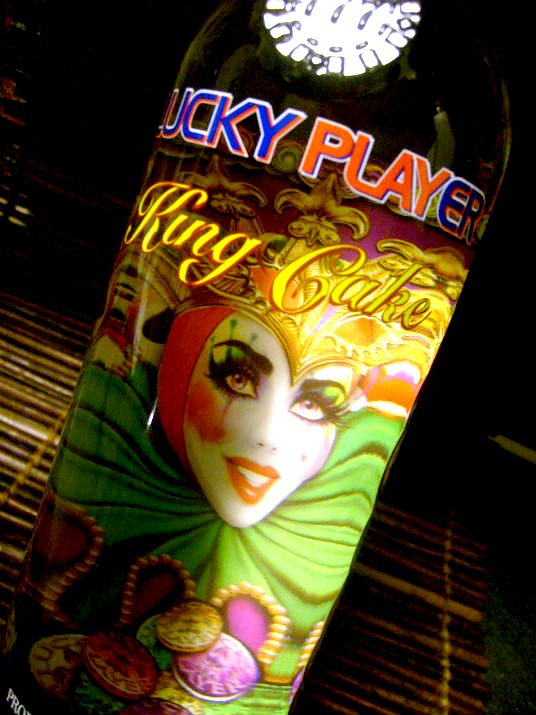 So now you know what a King Cake is unless you knew already… So now this year we have for the very first time – a King Cake vodka….it´s made by Lucky Player Brands and distributed in the US by Republic National Distributing Company. 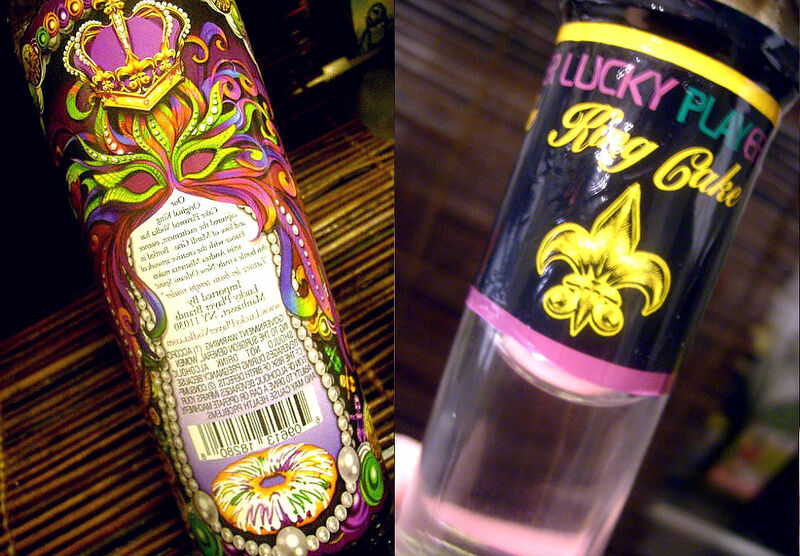 Those who knows me knows me as a rum enthusiast but when i see that such a thing as a King Cake flavored vodka ready for Mardi Gras it picks my curiosity….even though i`m always suspicious when it comes to flavored products but there´s only one way to find out – try it! And that´s why i`m gonna try it out, i wanna see how it tastes and mixes and what kinda cool party drinks you can make with it – does it stand up in the jungle of flavored products flooding the market? 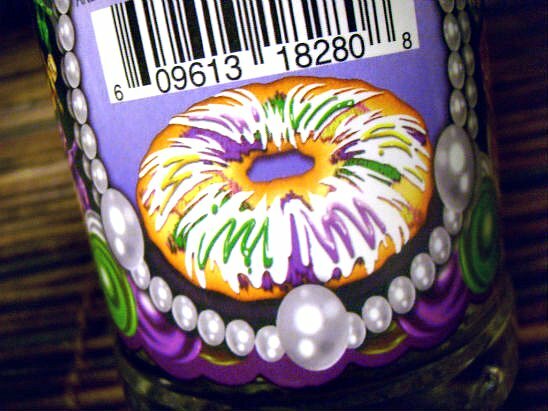 The flavor profile is based on the king cake from Haydel’s Bakery, they even had King Cakes flewn to France where the vodka is made to get the flavor profile right. I think it has a lot of amaretto in the flavor, a mix of almond and sugar and then there`s also a taste of cake icing. I did expect some cinnamon flavor but i cannot detect any. It`s smooth and has almost no alcohol burn, i have no problem with drinking it straight apart from of course that it´s too sweet to drink straight, it needs to be chilled with ice or mixed with things that cuts the sweetness and mellows and marries with the almond flavor. As a small shot with ice the almond flavor is less strong since the ice both dilutes and cuts the sweetness and it only has a very slight burn – but it really is sweet. 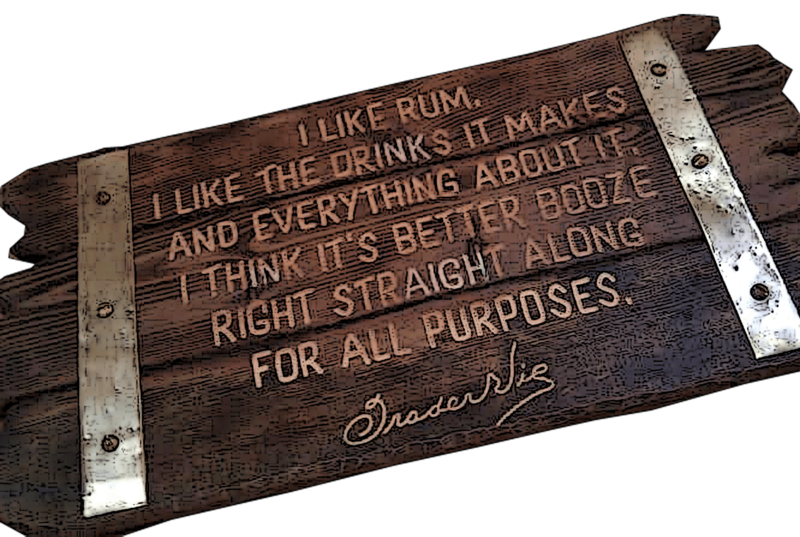 One shot of this and then a chaser with cold beer would probably do if you`re into that kinda drinking. Mixed in cocktails i believe it might do well with fruit juices, soda, sparkling wine or champagne and real natural sweet & sour-mix (no chemical sweet and sour powder mix – and more on the sour side) made from fresh lemon and lime. And since this vodka is sweet in itself use any simple syrup a little bit at a time to taste. 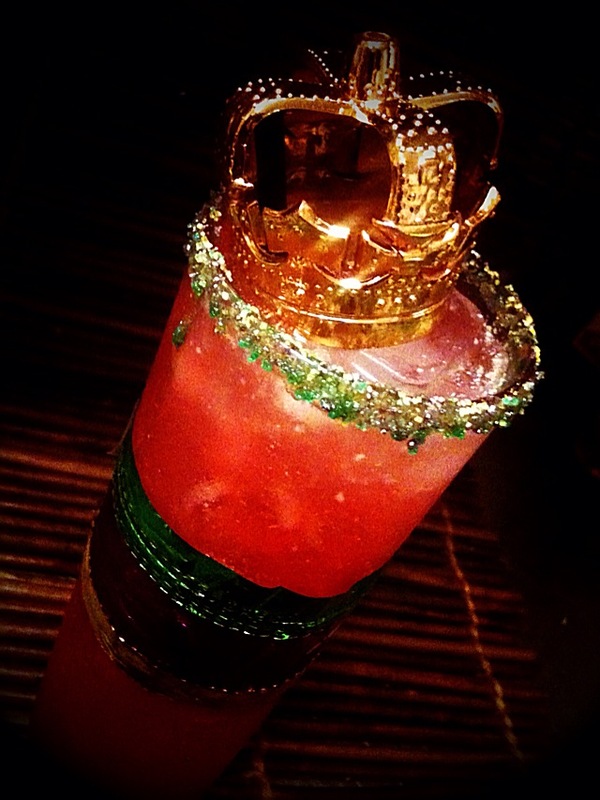 Then we have the bottle – it´s pretty, a work of art my friends, and made by artist Andrea Mistretta, the motif is the Mardi Gras Queen, and so right on the spot for a Mardi Gras product as you can get. Clearly designed for the Mardi Gras reveler, it´s a party vodka so let´s see how ot mixes, here´s four drinks, two twists of classics and two originals. Add to shaker and shake hard with ice, double strain into a purple sugar rimmed cocktail glass and garnish with a mint crown. This drink is the nicest of the drinks i think, not too sweet and it`s fresh without being overpowered by the amaretto flavor. 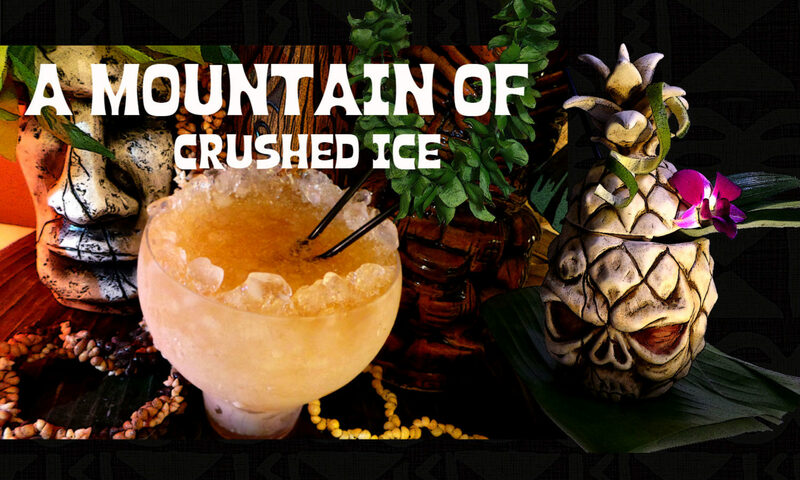 Shake it all with ice and strain into a big glass with ice chunks and rimmed with gold sugar. Top with soda or sparkling wine. This is like liquid candy…pineapple and coconut mixed with almond and sugar….for the sweet tooth! I like both sweet, sour and bitter so i liked this drink. 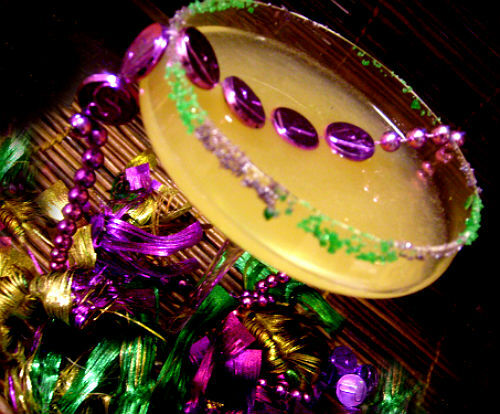 Garnish with a King Cake green sugared rim and a lemon twist. Shake for a good minute with cracked ice to incorporate the egg white or use a hand mixer, strain into a chilled green-sugar rimmed chimney glass and garnish with the lemon twist. 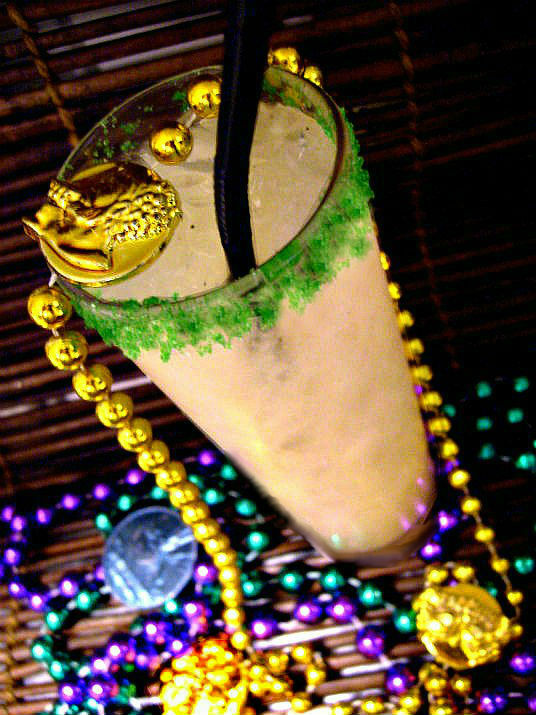 A simple twist of the famous Ramos Gin Fizz replacing gin with the King Cake vodka and omitting the orange flower water which isn`t needed here. 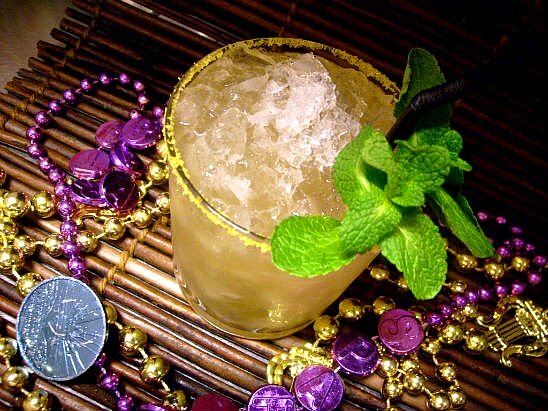 This drink tastes like a fizzy amaretto and lemony drink, quite light and bright and quite heavy on the King Cake vodka flavor, the subtlety of the original Gin fizz is transformed to an amaretto fizz. Easy to drink up though, probably easy to get drunk with too…so careful. King Cake sugar and filled with crushed ice. Spank a sprig of mint and garnish, put a short straw near the mint. I downed the lime from the usual 1 oz to 0.75 since i found it a little bit on the too tart side. Well, this tastes like a Mai Tai with amaretto, i think the other drinks suits this vodka much better so stick to the real Trader Vic´s Mai Tai if you gonna make that drink. No need to garnish the drinks all up the way i done here unless you want to. This is for the blog and because i like to have fun! When you blog about cocktails and spirits you have all the time in the world to play with garnish. A lime wedge on the glass would also do. But where is the baby? Of course there should be a plastic baby in the bottle…big enough to not fall out of the neck into somebody´s throat if drinking straight from the bottle – but the government didn`t approve a plastic baby in the bottle due to hazard reason of plastic mixing with alcohol. Testings in France with a baby in the bottle has been done and is still in the works so hopefully there´ll be a baby in the bottle next year. Conclusion: I think this is a funny product and definetily suitable for what it´s made for, it also has a festive bottle that would brighten up any Mardi Gras party table. 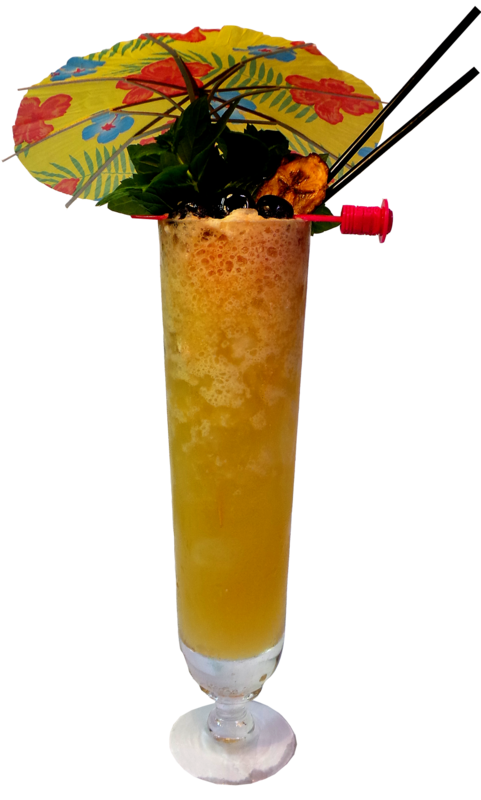 Since it´s quite heavy on the amaretto flavor and sweet i would suggest the drinks being made with lots of citrus and fresh juices, topped with soda, champage or sparkling wine rather than something like sweet fruit sodas or God forbid red bull.. If you like almond and sugar then you´ll like this, if not, pass. 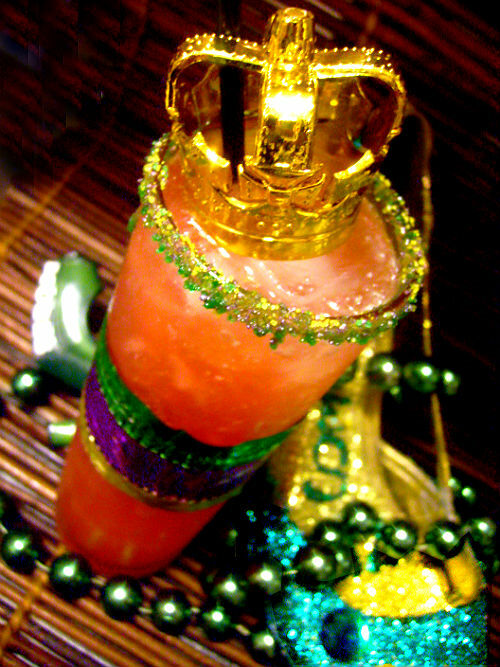 I`m very curious to see how the reaction of the King Cake vodka will be since i know there´s such a tremendous interest… Of the drinks i made here there´s especially one i`ll do again and that is the Purple, Green and Gold, i liked that one. I`m also intending to experiment more with it using it like an amaretto liqueur for example and so a few more drinks might find their way to this blog later on. 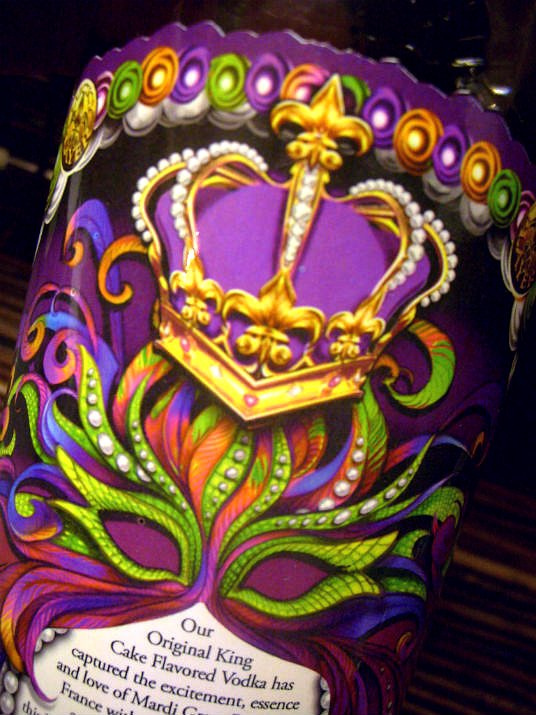 Here´s a link to the KingCake Vodka page on FaceBook. You can see Andrea Mistretta`s 27 years of Mardi Gras posters here. The beautiful back label and the neck.